Smart card industry specification-generating organization, the Global Platform, has released an update to its Smart Card Management System (SCMS) Functional Requirements. The new 4.0 version better addresses the requirements for third-party management systems and the delineation of management roles in a card’s lifecycle. 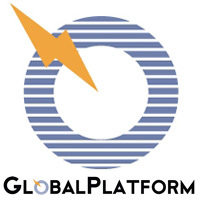 24 February 2005 – GlobalPlatform, the global leader in smart card infrastructure development and deployment, has published a revised version – v4.0 – of its Smart Card Management System (SCMS) Functional Requirements. The new version of the SCMS Functional Requirements, last published in 2002, reflects updates to benefit the entire GlobalPlatform smart card infrastructure for cards, devices and systems. Specifically, it addresses Smart Card Management features required to pre-authorize part of the card management to a third party. This brings it into alignment with the GlobalPlatform Card Specification v2.1.1, which defines card requirements for delegate management*. The overall purpose of the GlobalPlatform SCMS Functional Requirements is to describe the necessary features of a Smart Card Management Environment in order to effectively manage the lifecycle of a multi-application smart card and its related applications, during the pre-production, production and post-production phases. As with all GlobalPlatform systems technology, these requirements apply equally to GlobalPlatform cards, native and other open smart cards. The document is utilized primarily by designers and builders of multi-application Smart Card Management Environments, such as system architects and integrators as well as business analysts and project managers. Card issuers can also use this document to evaluate a proposed vendor solution. Gil Bernabeu, GlobalPlatform System Committee Chair, comments: “The updated GlobalPlatform SCMS Functional Requirements v4.0 is a ‘checklist’ or a reference tool for system designers to ensure that Smart Card Management Systems have all the necessary features to support the particular products in question. The GlobalPlatform SCMS Functional Requirements v4.0 is available for royalty-free download from www.globalplatform.org.